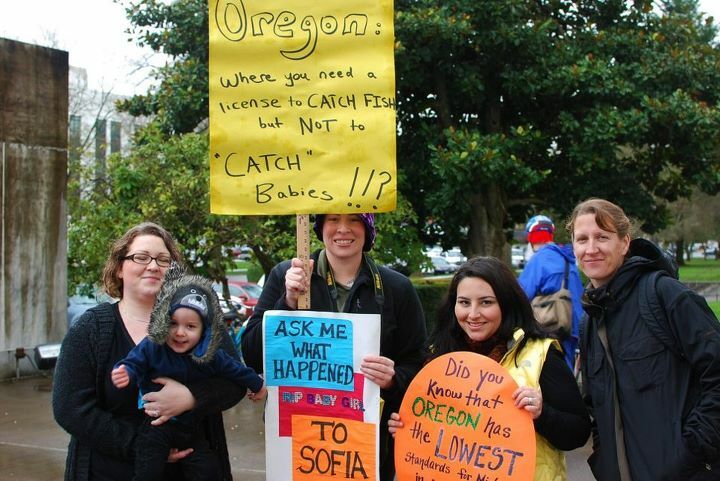 Oregon homebirth midwives got an incredible surprise when they showed up to lobby legislators at the state capitol building. 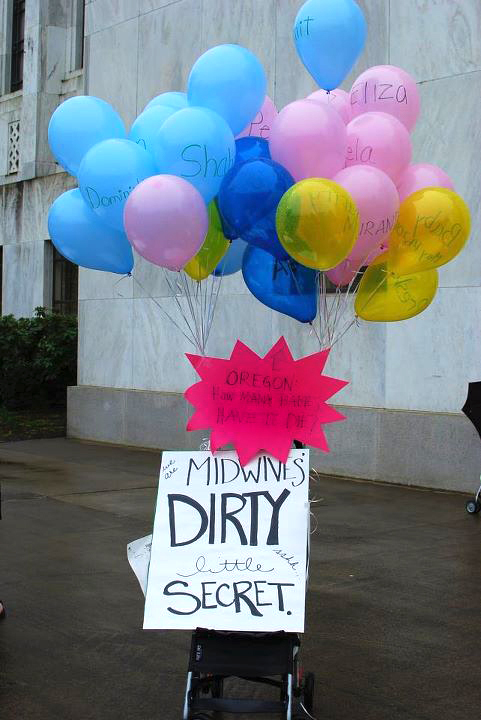 They wanted to “draw attention to midwifery care as the gold standard.” The surprise was that they were not alone. 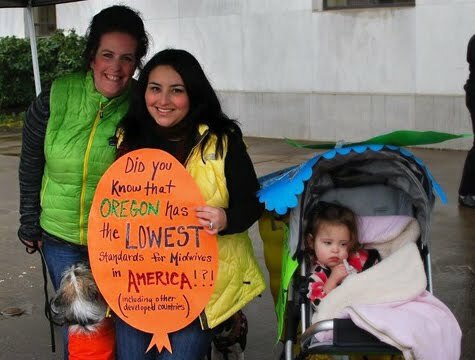 They encountered a group of homebirth safety advocates in what I believe is the first event of its kind, a rally to hold homebirth midwives accountable. 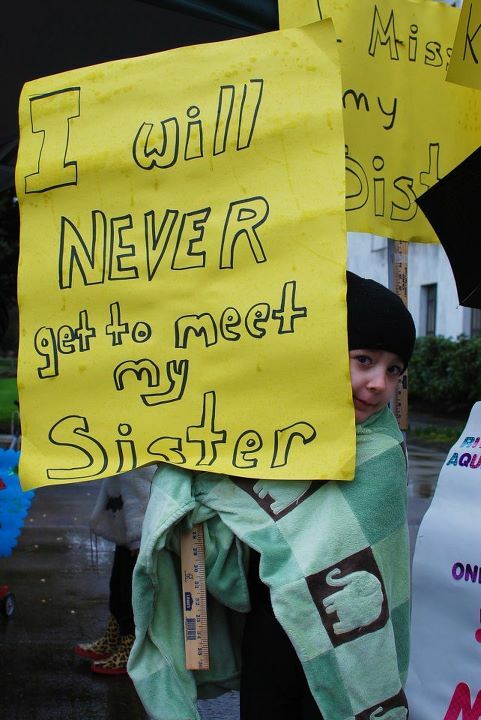 Many of these women speak from sad personal experience. Their babies have been injured or died at the hands of CPM whom they trusted to be highly educated, extensively trained and strictly regulated. 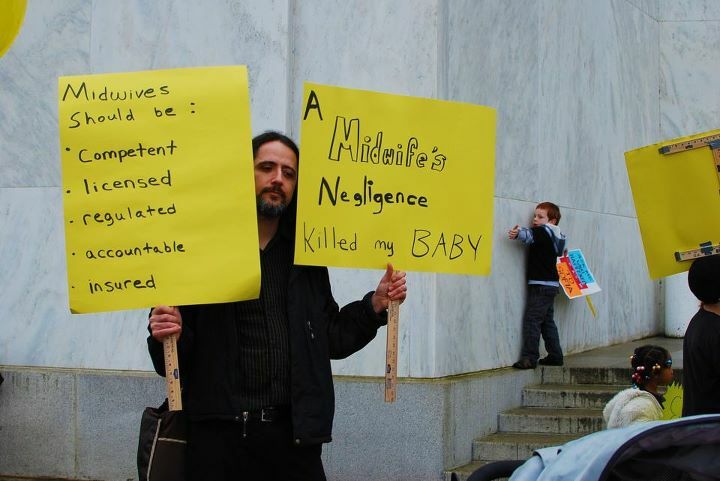 In the wake of their personal tragedies, they found to their horror that anyone can call herself a midwife in Oregon. 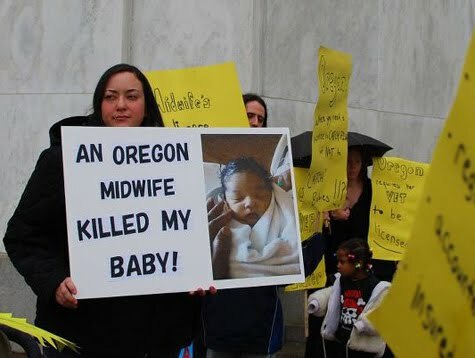 Moreover, even those who are certified professional midwives (CPMs) have so little education and training that they are not eligible for licensing in any country in the first world. 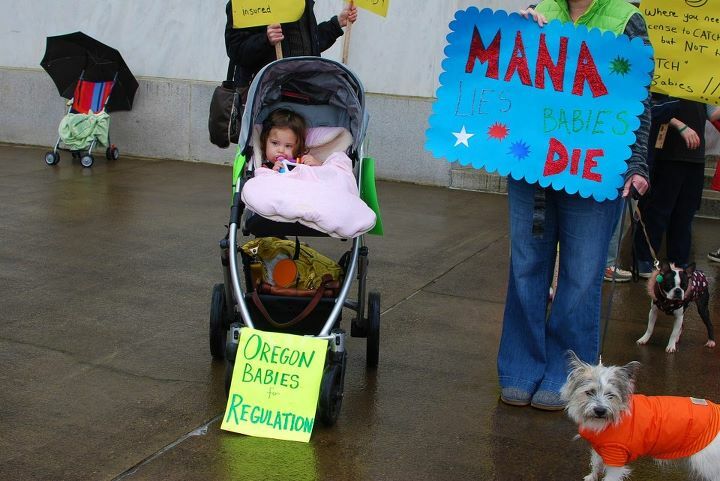 These women and men deserve our deep appreciation for bringing this serious issue to the attention of the people of Oregon.